Eastown Theatre. Photos by Steve Neavling. 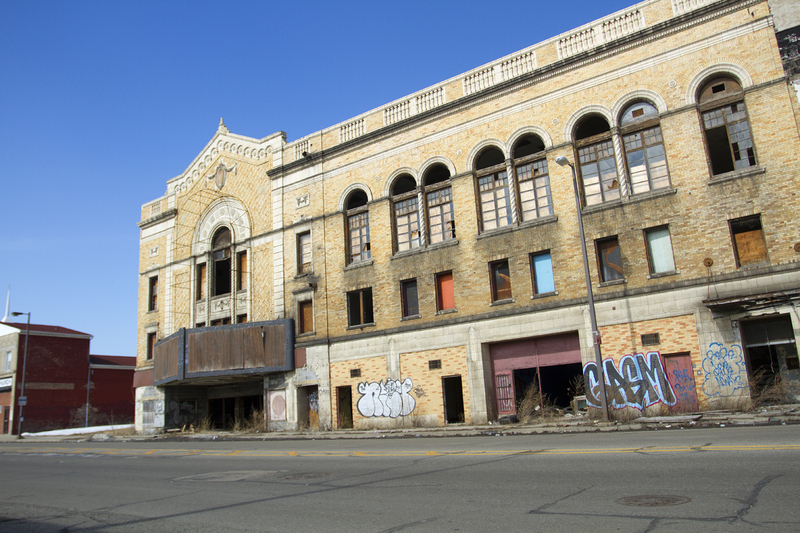 The Eastown Theatre was one of Detroit’s most venerable movie palaces when it opened in 1930, attracting well-dressed patrons from its blossoming east-side neighborhood. 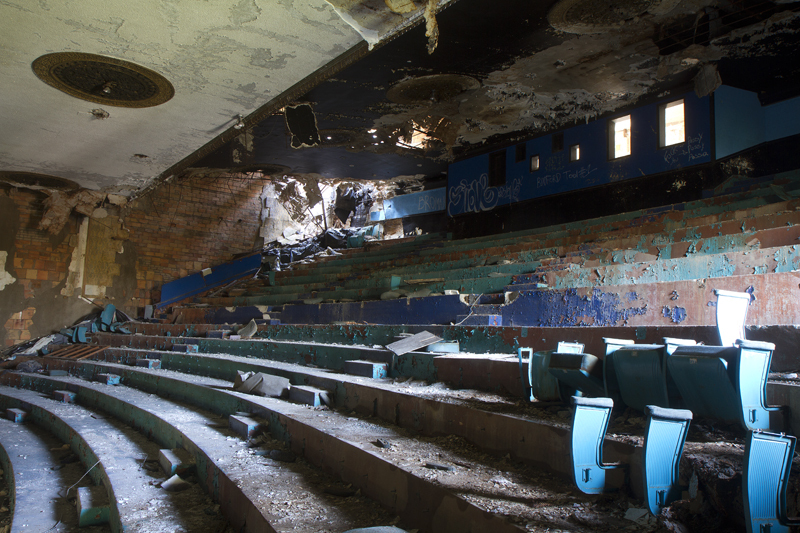 In the late 1960s, the 2,500-seat theater became one of Detroit’s most premier rock venues, drawing top bands from the psychedelic era: The Who, Jefferson Airplane, Pink Floyd, Grateful Dead, Cream, Yes, Grand Funk Railroad, Steppenwolf, King Crimson and MC5. 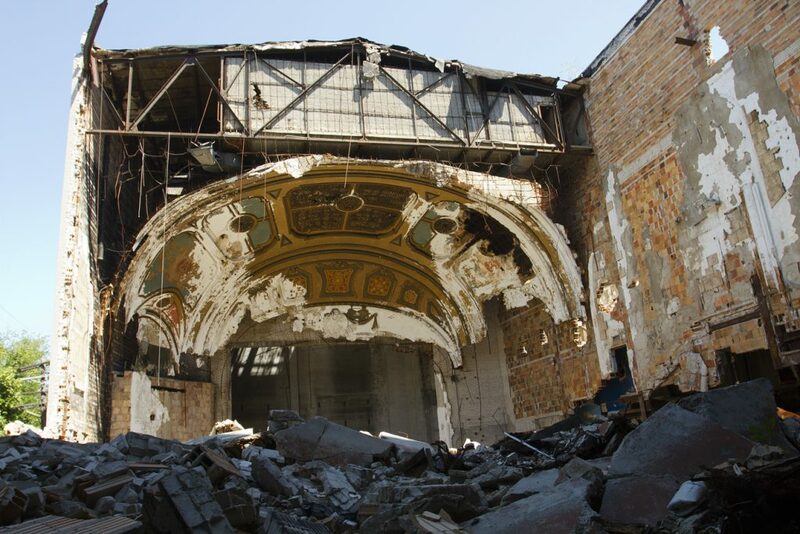 But like most of Detroit’s theaters, the Eastown was neglected and picked apart by metal thieves. 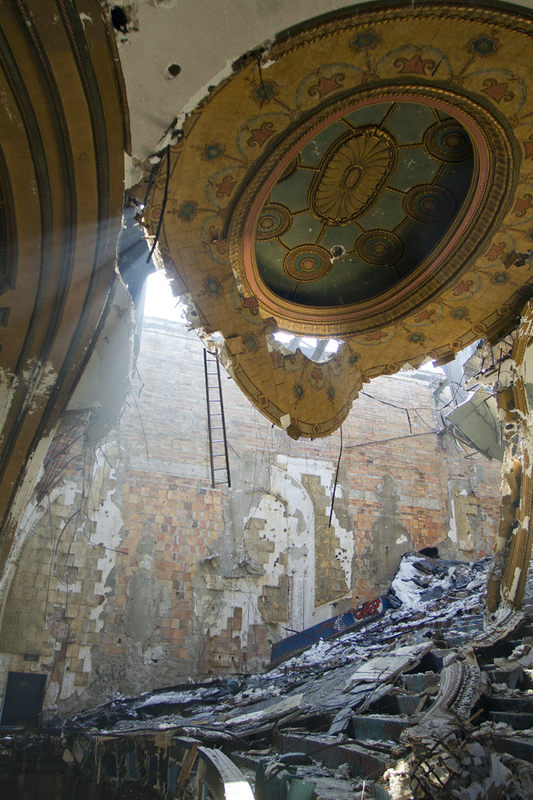 Last year, its ornate ceiling collapsed while scrappers were removing a steal beam. As early as today, the Eastown Theatre will be demolished about a year after the city took ownership of the dilapidated building at Harper and Van Dyke. The news was first reported by HistoricDetroit.org and confirmed by the city on Wednesday. The building is considered dangerous and will be demolished by a private contractor. The Eastown was the sole survivor of the city’s four neighborhood movie palaces, according to HistoricDetroit.org. For a detailed history of the Eastown, check out Lost Detroit: Stories Behind the Motor City’s Majestic Ruins by Dan Austin. I was the last to run this venue and attempt to save it in the 90’s – not many people know but was an active venue in the recent music scene as well…. Yes it was. I have such fond memories of playing there.